Vel Tech has a Total Academic Headcount(TAH) License for MATLAB, Simulink and the full suite of products available to faculty, Academic Researchers and Students. This option provides the widest and most up-to-date array of products, supporting everything from introductory level course to advanced academic research. Faculty members and Students can create their MATLAB account by using their official email id. 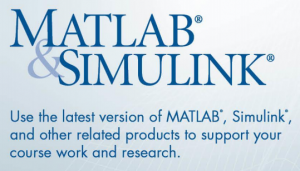 Vel Tech offers a Campus-wide license to MATLAB, Simulink and companion products.